The electric trucks and the charging infrastructures will be state of the art. The combination of 40 and 44 ton trucks with an extremely large battery pack and ultra-fast chargers has not been put into practice before. 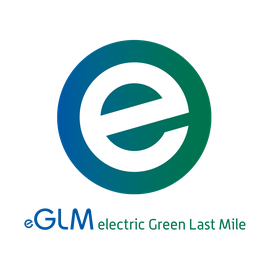 The combined demand of the eGLM partnership will make it possible for vehicle manufacturers and developers of charging infrastructure to implement these technological innovations. Through the combination of large batteries and ultra-fast charging, optimum use can be made of the electric trucks’ capacities. This will be made possible by means of strategically planned ultra-fast chargers and new smart logistics concepts. Partly thanks to the low noise level, the trucks can also be used in the evening and at night. Smart e-truck planning at eGLM goes hand in hand with a collaborative model for sharing e-trucks. "Always in motion" ensures a high mileage. Since an electric truck has fixed high costs, and lower operational costs, a high mileage will be beneficial for the business case. eGLM will also be testing concepts for this before sharing capacities (e-truck sharing) between the eGLM partners. FIER co-innitiated the project, build the consortium and manages the project together with the project leader LIOF. For more information visit our website. FIER Automotive is founder and participating in the GoodMoovs concept. GoodMoovs makes shared electric vehicles easy, reliable and quickly accessible via the smartphone. We want people to actually use shared electric mobility and encourage behavioural change. With this we offer a unique solution for complex mobility challenges. Important for us is that we accelerate the energy transition. We also want to reduce CO2 emissions by charging the electric vehicles with sustainably and local generated electricity. Currently there are over 130 electric shared cars (with a range of up to 400 km) and 50 shared e-bikes available at 40 locations in 17 cities and villages. This number increases every month throughout the Netherlands and will be available in 2018 in Germany and the United Kingdom as well. For further information please visit www.goodmoovs.com. FIER Automotive, Foundation Limburg Electric and AnalyseCentrum jointly work on the development of a 'charging infrastructure policy tool'. With this tool, which exists out of a policy model and strategic map, we help governments to further develop the public charging infrastructure by using data and analysis of all kinds. For example, data about the already available charging infrastructure and its use. We furthermore include in our model socio-economic data of the population, which is an indication of whetever or not people are interested in buying an electric car. And we map-out in a specific area the locations of stakeholder such as universities, hospitals and larger companies, where due to the high number of daily visitors public charging infrastructure could be feasible. The Partners for International Business (PIB) programme E-Mobility Partners facilitates the cooperation between German and Dutch companies involved in electric mobility. In Germany E-Mobility Partners has a focus on the regions Baden-Württemberg, Bavaria, Saxony, North Rhine-Westphalia, Hessen and Rheinland-Pfalz. The program is supported by the Dutch embassy in Berlin, the Dutch consulate in Munich and the trade and innovation agencies of the Dutch government and the mentioned German states. The participants of E-Mobility Partners join forces in three electric vehicle (EV) focus areas: charging infrastructure, urban mobility and heavy-duty EV. FIER Automotive is coordinator of the programme and offers support in management, project and business development. proEME supports the development of electric mobility in urban Europe. The objectives of the project are focused on creating the critical mass of electric mobility communities in order to analyse and accelerate electric vehicles (EV) markets in Europe. The project stimulates capacity building by activating those who make the decisions on mobility and transport related to EVs, to create multiplier effects and to reach out to mobility consumers, directly via an automobile club pilot and the internet. Through direct contact with stakeholders the authenticity of the scientific analysis will be increased. In addition, proEME advances the understanding of decision making of mobility consumers, private and used car customers, fleet managers, dealers, leasing companies, manufacturers and authorities for green public procurement, and shows how new mobility trends can be used to deliver win-win-situations for electric mobility. Analysis, dissemination and exchange of results within the new established international network of stakeholders and policy makers will boost policy support and expand the scientific findings of electric mobility. Therefore, proEME will advance scientific knowledge, create critical masses in selected regions and provide blueprints on how to accelerate the uptake of EVs best. For more info visit the website. 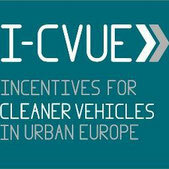 I-CVUE is an 'Intelligent Energy Europe Programme' co-funded project. It has the ambition to reduce CO2-emissions in urban environments by increasing the number of EV's in large fleets in urban areas by mentoring fleet operators and manager. The programme also resulted in a framework governments can use to set up tailor-made fleet incentive programmes to encourage the uptake of EV's by using specific socio-economic indicators. FIER Automotive delivered a comprehensive study on boundary conditions for a successful uptake of EV’s in Europe and particular in the Netherlands. Within the sector, we also performed numerous ‘mentoring projects’ in which fleet managers were supported with their feasibility analyses, TCO-calculation and implementation of EV's in their carpark. To support fleet managers a free and online TCO-tool was developed. eCARSHARE is a corporate e-car sharing project with over 40 shared EV’s in Southern Limburg and Brabant, launched in October 2014 and initiated by Foundation Limburg Elektrisch (SLE) in cooperation with and developed by FIER Automotive. 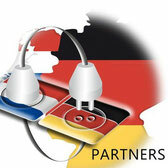 Partners are Province of Limburg, municipality Sittard-Geleen and Paleiskwartier Electrisch. The aim is to develop a sustainable business case for e-car sharing. A feasibility study from SLE and FIER showed that Limburg is the ideal testing ground for e-car sharing, due to the short commuting distances, small and densely populated area and a closed labor market. The preliminary results of the project are promising and encourages all involved stakeholders (government and (public-) private companies) to invest in continuation and upscaling of the project. This includes technical development of sharing systems and charging infrastructure. The fleet is expected to grow to over 150 EV’s by the end of 2017. By exploiting over 80 Electric Freight Vehicles (EFVs) for urban logistics, FREVUE (Freight Electric Vehicles in Urban Europe) intents to develop a viable business case for the current generation of electric vans and trucks with the goal to replace lorries and vans powered by diesel engines. The project combines state of the art urban logistics applications, innovative logistics management software and well-designed government policies. Contributing to FREVUE, FIER Automotive performed numerous TCO --calculations (Total Cost of Ownership) in the Netherlands for fleet managers and freight companies.